The Pangu team has released a tool for untethered jailbreak of iOS 9-iOS 9.0.2 compatible with OS X. If you have an iPhone, iPad or iPod touch running iOS 9, you can now use your Apple computer to hack the device. Below you will find the detailed instructions on how to jailbreak your gadget, so make sure you follow each step carefully. What you need is a desktop or laptop with OS X on board, USB cable, stable Internet connection and, of course, a compatible iOS device. Let’s start. The Pangu team has recently released an update for the jailbreaking utility capable of hacking compatible iPhones, iPads and iPod touches running iOS 9-iOS 9.0.2. Those who have already jailbroken their devices, do not need to do this once again. What they should do, however, is updating "Pangu 9.0.x Untether" and "Patcyh" in Cydia. 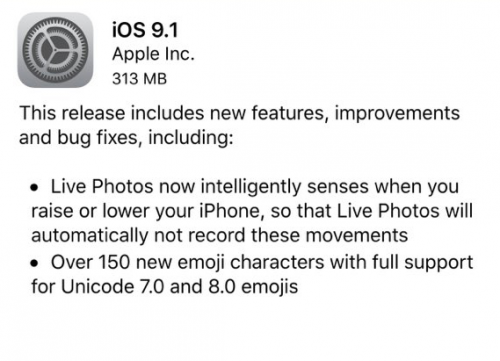 Apple has just released iOS 9.1 to users worldwide. The release comes about a month after the release of iOS 9, which could boast of a wide number of under-the-hood improvements, bug fixes and new features for the iPhone 6s and iPhone 6s Plus, iPad mini 4 and iPad Pro as well as for other compatible devices. iOS 9.1 brings over 150 new emojis to Apple devices and contains improvements for Live Photos that make it easier to capture beautiful images using the iPhone 6s or 6s Plus. 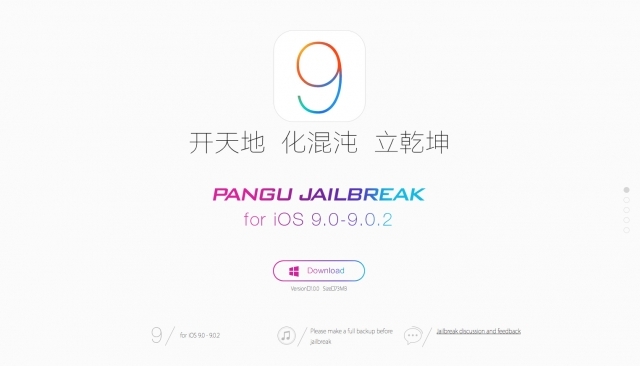 As it was already mentioned on our website, the Pangu team has recently released the untethered jailbreak of iOS 9. Below you will find the instructions for your iPhone, iPad and iPod touch running iOS 9, iOS 9.0.1 and iOS 9.0.2. Note you will need a Windows computer to jailbreak your device. I’ve got some good news for those who plan to jailbreak their compatible iPhones, iPads and iPod touch units running iOS 9. 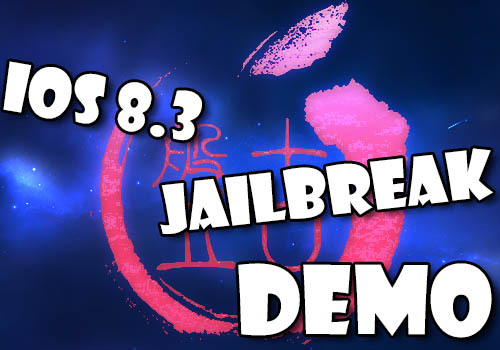 The Pangu team has just released untethered jailbreak of iOS 9. Even though Apple has reportedly patched the vulnerabilities used in the iOS 8.4 jailbreak, looks like the hackers have found something new. According to the latest report from Forbes reporters, Keen Team from China is currently planning to work on a jailbreak for iOS 9. As to the date of its release, it remains unknown, however, people familiar with the matter say it may take place this fall. 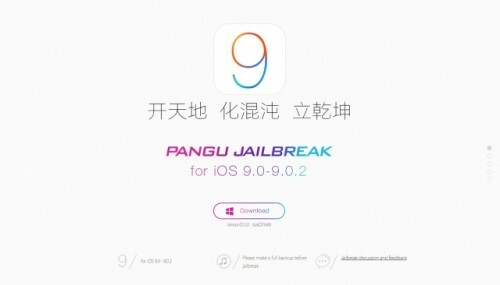 The aforementioned team hasn’t released any jailbreaking tools yet, however, hackers hope to cooperate with Pangu and debut with an untethered jailbreak for iOS 9 in the near future. As you might have noticed, the Pangu team has recently demonstrated its jailbreak for iOS 8.4. Following this announcements, the hackers from TaiG team has unveiled their plans for the nearest future. In the latest interview with iDigitalTimes, one of the developers revealed that there will be no TaiG jailbreak for iOS 8.3 or iOS 8.4. Apart from that, he added that there are no plans concerning the jailbreak of the Apple Watch. Instead, the team will focus on the development of a jailbreaking tool for iOS 9. Well, that’s quite an ambitious task, I must admit. According to Tools4Hack the Pangu Team has demonstrated a iOS 8.3 jailbreak at the MOSEC security conference in Shanghai. The Japanese reporter is hopeful that we could see the team release a jailbreak once iOS 8.4 drops. MuscleNerd, a respected hacker in the jailbreak community, has confirmed via twitter that the TaiG iOS 8.1.1 jailbreak is safe. to the exe file. From then on, when you run the tool it'll log the urls accessed in a log/.log file. Apple has just released iOS 8.1.1 to users worldwide. The public release comes two weeks after the release of the beta version that contained a wide number of bug fixes, but lacked new functionality. Looks like this is another minor update aimed at making the mobile operating system more stable. What is also interesting about iOS 8.1.1 is that it reportedly kills Pangu untethered jailbreak, so if you want to keep your device jailbroken, stay away from this software update. 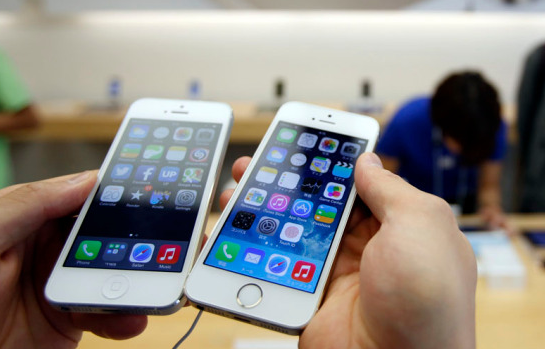 At the annual two-day Mobile Pwn2Own conference held earlier this week by HP, several groups of developers managed to find a number of bugs in iOS, Android and Windows Phone platforms and successfully hacked Apple's iPhone 5s, Samsung's Galaxy S5, Google's Nexus 5, Microsoft's Nokia Lumia 1520 and Amazon's Fire Phone. What I find interesting is that the hackers were able to get full control over all of the handsets except for one. You will never guess, which device turned out to be the most reliable. Apple Stopped Signing First iOS 8.1.1 Beta, Official Release Is Near? Apple has recently stopped signing the first beta of iOS 8.1.1, but hasn't yet released the second one. This indicates that the official release of iOS 8.1.1 may take place in the near future. Just for you to understand: once the new version is released, the guys from Cupertino will stop signing iOS 8.1, making it impossible to jailbreak your device using Pangu8 as well as to restore it to this version of the operating system. As you already know, iOS 8.1.1 kills Pangu jailbreak, so you should not upgrade if you want to keep your iPhone jailbroken. 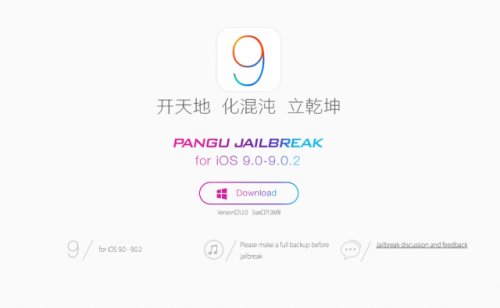 The PanguTeam has released a Pangu8 utility for Mac OS X that can jailbreak iOS 8.0 - 8.1. You can download the latest version of the Pangu Jailbreak utility for Windows and Mac OS from here. If you haven't jailbroken already, you can find our step-by-step instructions on how to do so here. 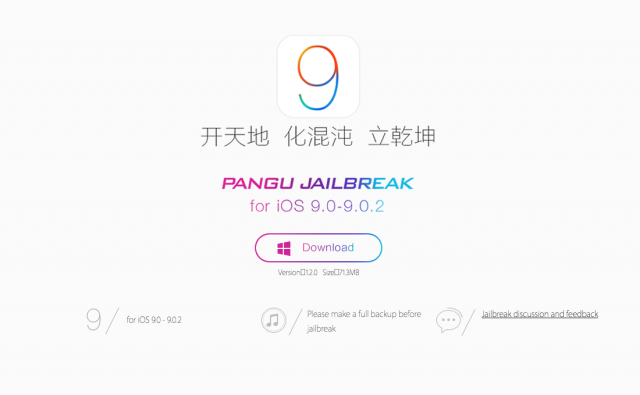 The PanguTeam has released Pangu8 1.2.1, an updated version of their utility to jailbreak iOS 8.0 - 8.1. Cydia 1.1.16 resolved the iOS 8 "Restore from Backup" issue, increased iOS 8 multitask timeout, improved App Store redirect block, and fixed the login dialog on iPad. 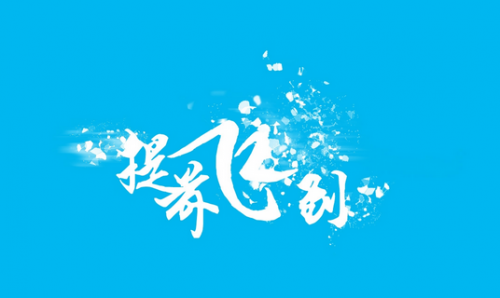 You can download the latest version of the Pangu Jailbreak utility from here. If you haven't jailbroken already, you can find our step-by-step instructions on how to do so here.